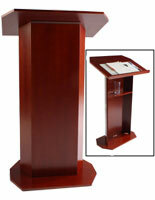 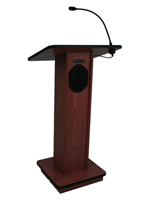 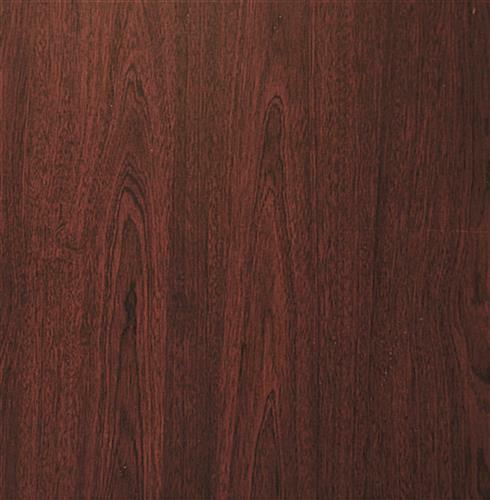 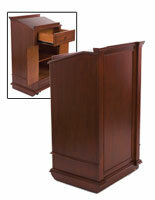 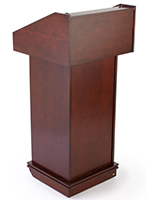 This simple mahogany pulpit is a basic, multipurpose podium that comes with a scratch resistant melamine surface. 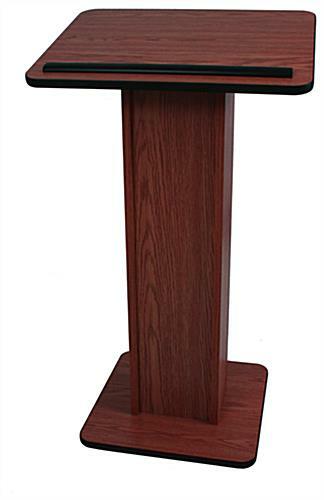 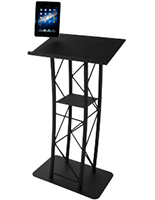 This elegant floor lectern has an angled reading ledge with built-in book stop to keep presentation materials or speech and sermon notes in place. 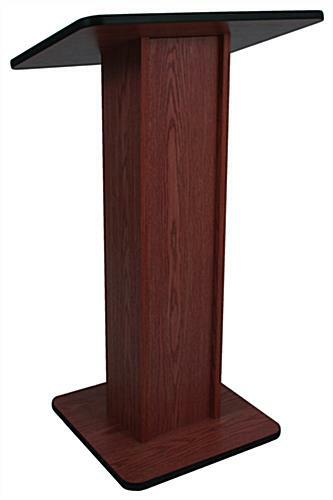 This stylish wood pulpit with clean lines measures 21" x 45" x 15" overall, a size designed to suit the height of many speakers. 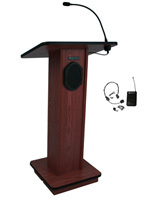 This speaking stand is perfect for use in any facility, from a a church to an auditorium to an office to a conference or lecture hall setting. 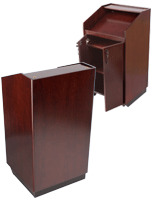 This pulpit in mahogany has a plain design that will complement any environment while focusing attention on presenters and speakers rather than on the furniture. 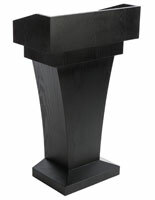 22.5" x 45.0" x 15.0"